Kingswear Historians enjoyed a really good evening on April 25th when Alan Salsbury came to talk to us about Torbay Lifeboats. Alan is a witty and able speaker who made the topic come alive by telling us about the rescues some of the boats made and about the characters aboard them, some of them the bravest men you could imagine. We were all moved and impressed by the tales, which just adds to the respect I know we all feel for lifeboat crews anywhere. I am sure we will be asking Alan to come back again soon to share some more of his awesome local knowledge. After coffee Michael Stevens gave a talk on the Holdsworth family of Dartmouth which made a familiar local name come alive as the very able and ambitious bearers of that name were revealed. 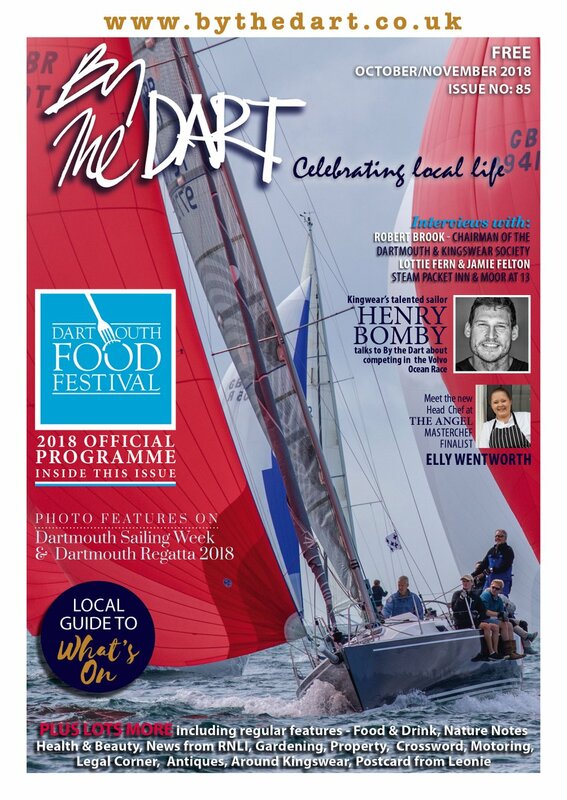 Wealth, power and influence are words that spring to mind when the name is mentioned locally, but clearly the families also gave much to Dartmouth and Kingswear, helping to shape their futures. This was altogether a fascinating evening and one which enhanced an appreciation of the lovely area we all enjoy so much. 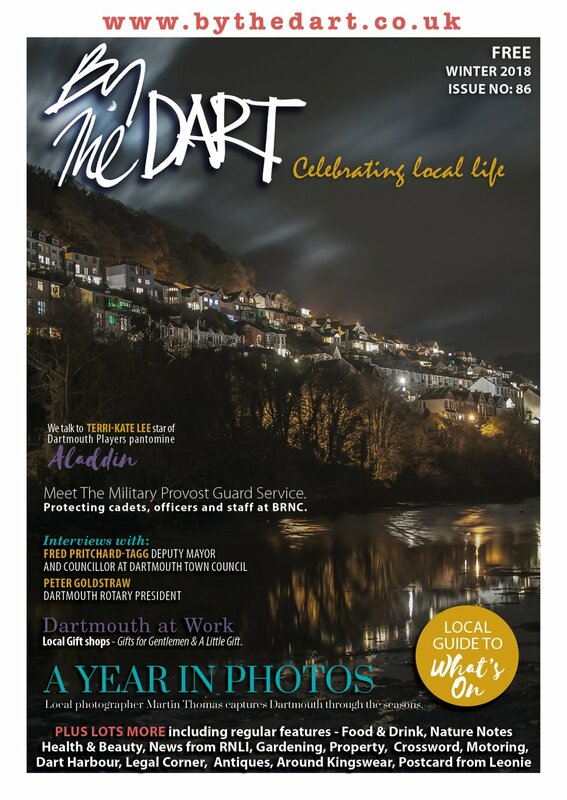 By the time you read this Historians will have enjoyed an evening with David Lingard from Dartmouth Historians, telling us about the revamped museum in Dartmouth and what the historians on the Dark Side are up to. Tessa Gibson will have shared information about the Royal Dart, formerly HMS Cicada, formerly The Plume of Feathers. Please note that the last Kingswear Historians event of this season is to be a most interesting evening at Lower Greenway Farm, being guided by Mike Ingram from the National Trust. The farm is a total time-warp since it was created in 1840 as a model Farm and has not changed at all since then. This is very rare indeed and we are very privileged to have a glimpse of the place before anything happens to it. Its future is being carefully considered by the Trust currently, so let’s see it as it is while we still can. This visit is to take place on Monday June 27th. Arrangements are to meet at The Banjo in cars at 7:00pm on that day, so that we can travel in convoy to the farm. Please try to fill your car so that we have as few going as possible. If you need a lift on the night that is no problem, just call Mike Trevorrow on 752928 a few days in advance and I will arrange it. There may just be a visit to the pub in Galmpton afterwards for those thus inclined. Monday June 9th saw a fine little ceremony performed in the Trust Room when Dr David Williams presented what will become known, I suspect, as the ‘Kingswear Medals’. There was a very creditable turn-out for the event where both public and private medals were presented in very nicely-made cases to be displayed in the Trustroom. The medals represent lives of great bravery in times of profound hardship and are potent reminders of the sacrifice which was made by so many on our behalf to counter fascism and inhumanity. Those who lived through WWII will have their own poignant memories and feelings stirred, but even those of us who did not experience The War can hardly fail to be moved by such generosity of spirit, such courage, at a time when fear was just the norm. 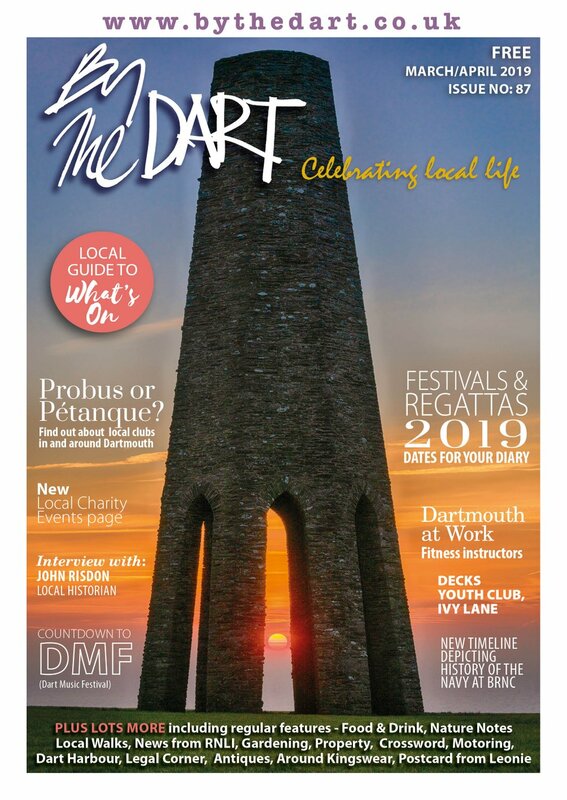 David Williams has submitted an article in this issue of By The Dart telling you more about the medals so I will merely thank him for all his efforts in putting together this event. The WI ladies did a sterling job on the day of the Royal Wedding, 29th April, when they provided the willing of Kingswear with cream teas. There was much scoffing and much cheer. The ladies worked very hard and efficiently as always and it is appropriate to thank them warmly for their efforts. I wonder if William and Kate received a cream tea by post? There’s a thought. The ladies’ next event is a jolly; they are off to Powderham Castle in a coach. I understand that they are to have a conducted tour of the place which I feel sure will be of considerable interest. As one of ‘the husbands’ I only hope that they don’t come back with grandiose ideas about what we can do with decoration to brighten-up the sitting room! The Steam Packet lot have been at it again – collecting that is – and this time they have a remarkable £1500 which has been painstakingly put together by a large raffle and from money collected by Jimmy Wright with his meals for a fiver over the holiday periods we’ve had recently. That’s sterling stuff and quite an achievement to boot. Well done all.